Spurred by the looming energy crisis, Nathan Lewis and Sossina Haile are working to invent a new kind of fuel that uses the sun to power the planet. They are attempting to produce a prototype for a truly alternative fuel source — an artificial leaf that emulates natural photosynthesis, converting solar energy into a usable, clean chemical fuel. They hope their pioneering solar cell and fuel cell technologies will eventually end our dependence on petroleum and provide an energy source that won’t pollute our planet. 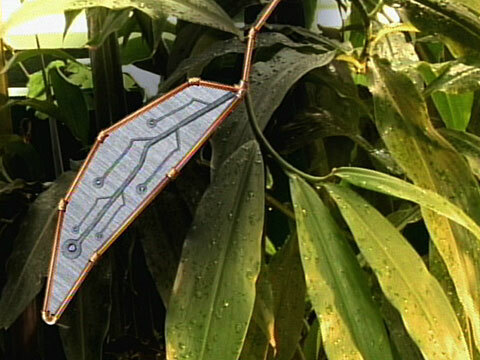 Footage of real leaves seen in CURIOUS was shot at New York Botanical Garden. Founded in 1891 and located just 20 minutes from Grand Central Terminal in New York City, the New York Botanical Garden is home to one of the world’s great collections of real, living plants — the inspiration for Caltech scientists working on innovative energy solutions. Visitors will find an “ecotour” of the world in the Enid A. Haupt Conservatory, an indoor/outdoor science museum for kids, and more — all on this 250-acre National Historic Landmark site in New York City’s Bronx borough.